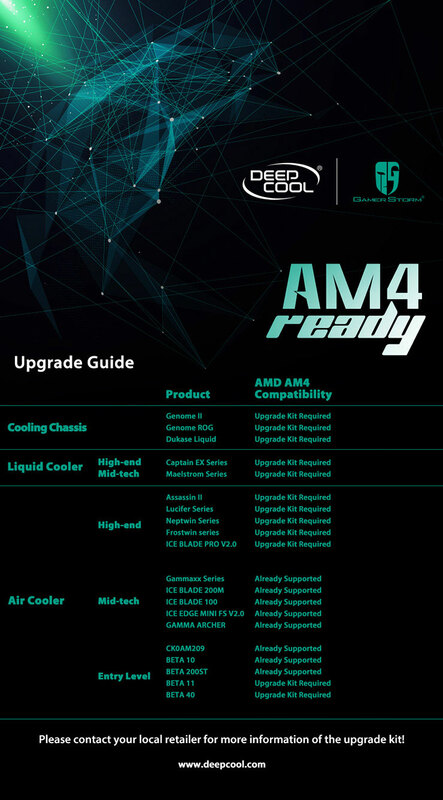 Deepcool, being a market-oriented professional thermal solution provider, is proud to show you a current list of AM4 compatible CPU coolers, including Gammaxx Series, ICE BLADE 200M, ICE BLADE 100, ICE EDGE MIDI FS V2.0, GAMMA ARCHER and etc. 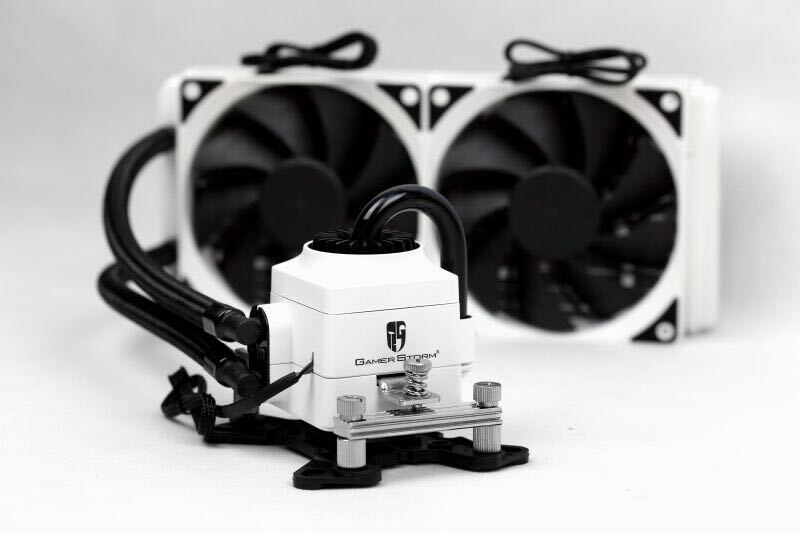 Based on AM4 compatible solution, liquid cooling chassis like Genome II, Genome ROG Certified Edition, as well as high-end Aio liquid cooler Captain EX Series will be launched after the end of March, closely followed by many other featured coolers. 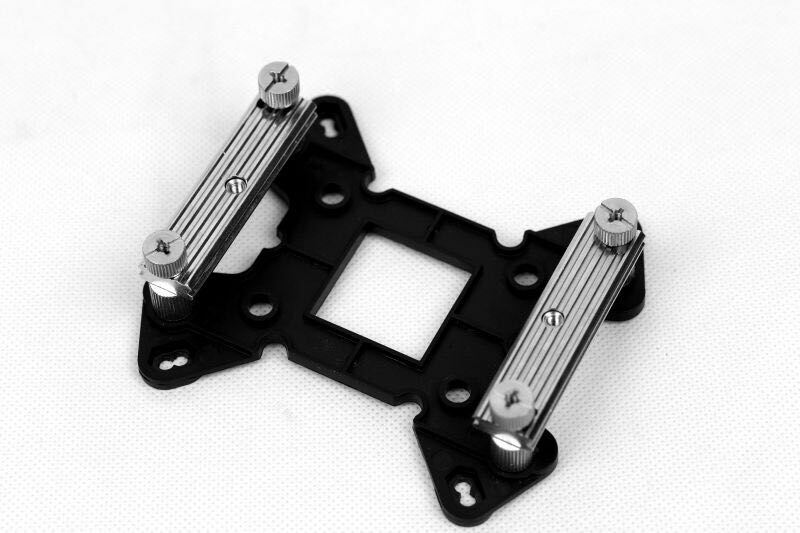 Another great news is the specifically designed AM4 mounting kit for Captain EX series will be firstly available at Amazon US around Mid-March. 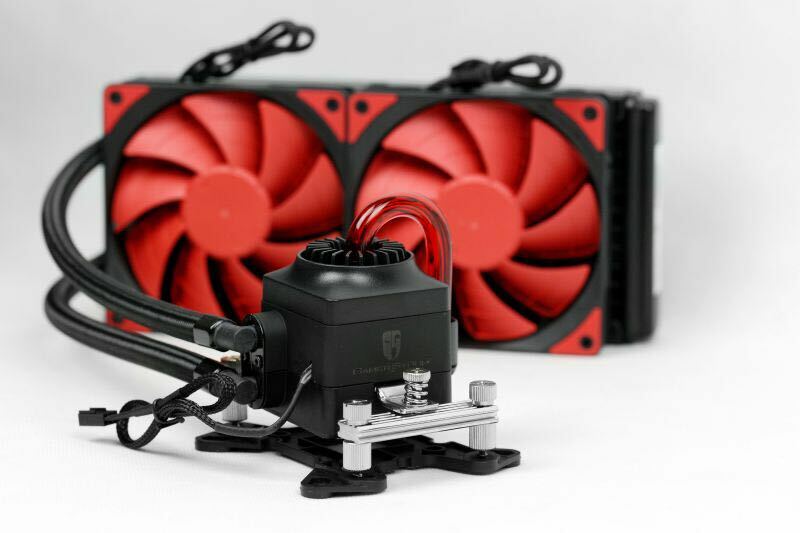 For other countries and regions, upgraded kits will be arriving after the end of March.